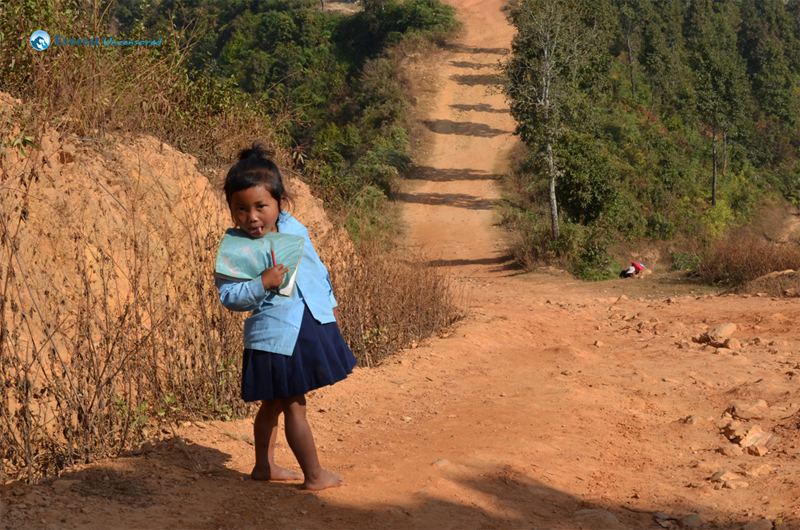 The picture above is of a 5 Year old girl going to school barefoot, whom I met at Manakamana. When I asked her why she was going to school, she replied that she wanted to become a doctor and serve the people in her village. She always walks an hour to get to school, and after returning home she helps out her mother in the kitchen before sitting down to do her homework. Everest Uncensored has initiated a program called Hike for Education (HIFE) through which individuals can join Deerwalk hiking teams and voluntarily contribute to the program in cash, kind, or direct sponsorship of students. For details, CLICK HERE.